Welcome to Mondays & Memories of My Mom! 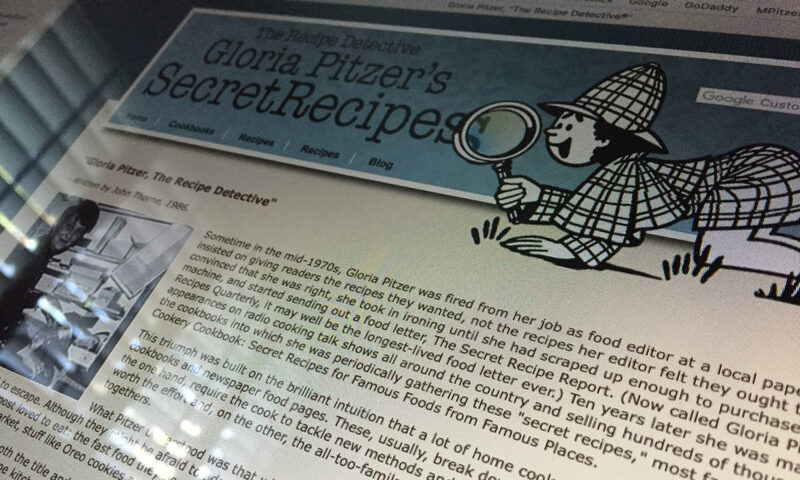 My name is Laura Emerich and I started this blog series last year to share remembrances of my mom, Gloria Pitzer, the ORIGINAL “Secret Recipe Detective”, because she made such a big impact on, not only our own family, but also on people we never met, all around the world. 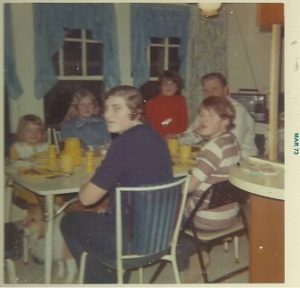 Mom passed away just over a year ago and I started this blog series to carry on her torch – her “legacy of love“ – “Secret Recipes”. My mom was such a huge influence on who I’ve grown to be that I felt compelled to keep her torch lit and to keep it shining bright! 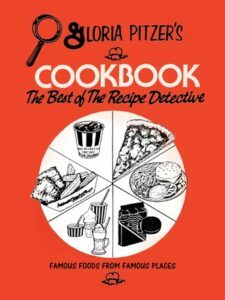 To me, her love of writing and cooking and inspiring others in the same was one of the biggest parts of her legacy – especially since I collaborated with her during the last few years of her life to re-write her favorite cookbook, The Better Cookery Cookbook; which was written, illustrated and published by Gloria Pitzer (Gloria Pitzer’s Secret Recipes, St. Clair, MI – 1982), so it could be re-published to inspire new generations in the “digital age”! 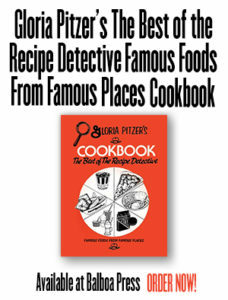 Shortly before Mom passed away, it went to print, being published by Balboa Press, with the title re-adjusted to Gloria Pitzer’s Cookbook – The Best of the Recipe Detective. Ordering information is near the end of this blog. THE DIRECTION WAS ALREADY DETERMINED FOR ME! WHEN I LOOK BACK now, I realize that I was so busy trying to prove that others were wrong about me, I couldn’t see how events were taking place that would sooner or later put me where I had always wanted to be – [Mom would call each of these “events” a “meant-to-be”] writing for a worthwhile living, while making living worthwhile! In high school, I pestered the school newspaper sponsor, Mr. Rosen, to let me be on the staff. He had no hope for me at all as a reporter! I was secretary of the Senior Class, January 1954, and Judy Guest was secretary of the June 1954 Senior Class. Judy was on the staff of the paper; but, even then, it was well-known that she hoped to write “the Great American novel”– and that she did, 20 years later, with Academy Award-winning “Ordinary People”! Judy’s great-uncle was Edgar A. Guest and Bud Guest, a famous radio commentator, was her uncle. It was only natural that writing would run in her family. We were friends because we liked each other and were both involved with the same school activities. I was always glad that we continued to keep in touch, if only at Christmas, for nobody appreciated Judy’s eventual success with “Ordinary People” as I probably did, knowing how long she had wanted to accomplish that work. Somehow, despite my personal objections to the direction in which I appeared to be going, it was just as likely that I would accomplish a properly-written cookbook. Even in high school I was put on 2-weeks’ probation with the cooking class instructor, for having disregarded the recipe for a pie crust we were assigned to prepare in class. Mine was a recipe that I still use – and have published in this book – for the “No Rolling Pin” crust. Apparently, it’s true, that “Life” is what happens to us while we’re busy making other plans. Every successful accomplishment with my writing, after high school and the one year in college, was involved with recipes and cookbooks and restaurants. But I couldn’t see that it was a kind of calling. I saw it only as an interest that temporarily kept me writing and making a worthwhile living at it. WDEE-Radio, in Detroit, gave me a portable radio or a recipe that took 1st place in a contest they conducted – and in 1962, it was WBRB, in Mt. Clemens, that gave me a check for 1st place in their recipe contest. Soon after that, Better Homes & Gardens sent me a check for a recipe in a contest they had conducted. WJ BK-Radio gave me a maple stereo and radio set for their most unusual experience while listening to the radio, in 1964, when I wrote them about our “Picnicking in the Snow”. Again, the story was food related, including recipes for having a cook-out on the beach at Metropolitan Park in the middle of winter, with the radio going to keep us in the proper mood. It was all leading to my eventual work in the food industry – but, I couldn’t see that at the time I could only see that I had to write and with any luck at all, luck would be when preparation and experience met opportunity. The opportunity was close at hand. The source of this photo is unknown. I found the clipping in one of Mom’s old scrap books. The date would obviously be when Mom worked as a cartoonist for a local newspaper, The Review. I think that this was from the early 70’s, shortly before she started her “Secret Recipes” business. Speaking of competitions, I remember when one of my grade school teachers, at an Algonac Schools’ Parent-Teacher Conference, made a special point of telling Mom that I wasn’t very competitive, and it bothered her, as she was extremely competitive, herself. Mom thought that was an important drawback in my life, because she was a competitive-type also; and thus, she felt that I lacked the determination to do as well as, if not better than, others in my class or in sports. She later thought that I had found my competitive drive and learned from it such things as “teamwork” and “self-worth”. I actually never learned to be competitive – I have always favored being the cheerleader or fan that applauds the competitors, rather than being the player! I’ve always rejoiced in others’ glories and never craved my own. Which is ironic since my name, Laura, which comes from Latin, meaning or referring to the Laurel tree or sweet bay tree (symbols of honor and victory). FAST FOOD RECIPES were not published in the best-sellers – and these were the restaurants where families were apt to frequent if they wanted a meal that was affordable! Paul and I could take all 5 of the children to Capri’s, an Italian restaurant down the road from us in Pearl Beach, and we could feed the whole family for less than $10, providing we ordered the large pizza with only pepperoni and cheese on it and one soft drink for each of us. In the 50s, 60s and early 70s, this was the way parents raised their families, budgeted their earnings and allowed for their pleasures [because their parents grew up in The Great Depression Era]. Things changed, as well they should. Women went out to work. If they weren’t working to supplement the family income, they went to work for their own satisfaction. Whatever the reasons, families changed. Eating at home became less and less appealing – and less and less convenient. Homes were built with smaller kitchens and bigger bathrooms. Microwave ovens were more affordable – and “defrost and heat” became more popular. WE WANTED OUR CAKE AND WE WANTED TO EAT IT, TOO! We wanted to eat out at a price we could afford; and, when we couldn’t afford to eat out, we wanted to dine-in as if we were eating out! At the time, there were few recipes for this kind of cooking. We wanted to spend less time preparing the foods and less money on the ingredients and still serve a dish to those who shared our table…that would be equal to – if not better than – anything we could buy in a restaurant or from a supermarket. For all of these reasons, I have pursued the investigations of the food industry with the greatest joy and the utmost care, translating into recipes, those secrets that I have been able to decipher. Stay tuned, next week, for part 3 of this series about Mom’s story, in her own words, as she describes her very first television appearance in Detroit, November 1974, and a few other appearances after that; as well as in 1976, when the Henry Ford Library at Greenfield Village in Dearborn, Michigan ordered copies of one of her very first cookbooks, designed to celebrate the American bi-centennial in food and history, to place in their bi-centennial collection! Super Bowl Sunday is Feb 3rd! In the mean time, in honor of my dad’s memory, I want to say that it’s only 6 more days until the big Super Bowl event, happening in Atlanta, GA! The NFC’s New England Patriots face off against the AFC’s Los Angeles Rams. Parties have been planned, squares have been bought, bets have been placed and all the hype about the half-time show and ads have begun! As I do each week, I will end this blog with one of Mom’s make-alike recipes that appeared on one of her “Free Recipes/Information” sheets. 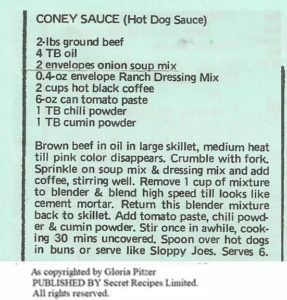 In keeping with the Super Bowl theme, whether you’re hosting a party or taking a dish-to-pass for someone else’s party, this is a picture of her easy and awesome, make-alike version of Coney Sauce from her “Free Recipes/Information” sheet (1985) to go great on hot dogs or your favorite tortilla chips – asking only for proper credit if you care to share it. Another version of this recipe (along with a related recipe for making your own dry, starter mix) can be found on page 61 of Mom’s last book, “Gloria Pitzer’s Cookbook – The Best of the Recipe Detective” [published by Balboa Press (January 2018, 1st Printing) – a re-write by me, Laura Emerich, of her famous, self-published book, “Gloria Pitzer’s Better Cookery Cookbook” (May 1983, 3rd Printing)]; which can be purchased from Balboa Press at https://www.balboapress.com/Bookstore/BookDetail.aspx?BookId=SKU-001062252 for $20.99, or in eBook form for $3.99 at https://www.balboapress.com/Bookstore/BookDetail.aspx?BookId=SKU-001062253 – as Mom would always say, “Happy sleuthing in the kitchen!” …until next week!